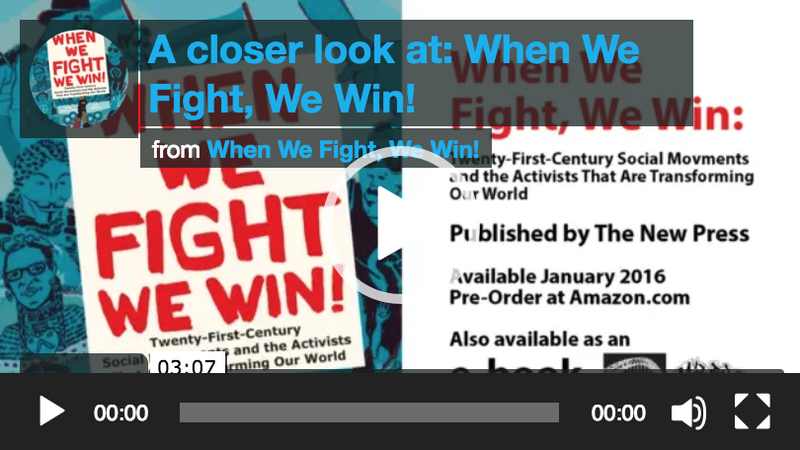 Below is a collection of resources, study guides and toolkits developed by the When We Fight, We Win! team and our extensive network of collaborators featured in the book. Guided questions designed by Manissa M. Maharawal for “all those who yearn for big changes.” Take a few moments before you start reading When We Fight, We Win! to ask yourself what sort of change do you want to see in the world? Basic information about your rights and dealing with police and the criminal justice system. Designed as a companion to Operation Backfire, this pocket-sized know-your-rights booklet is designed to be a practical resource for activists and others when dealing with law enforcement. Available in 5 languages. 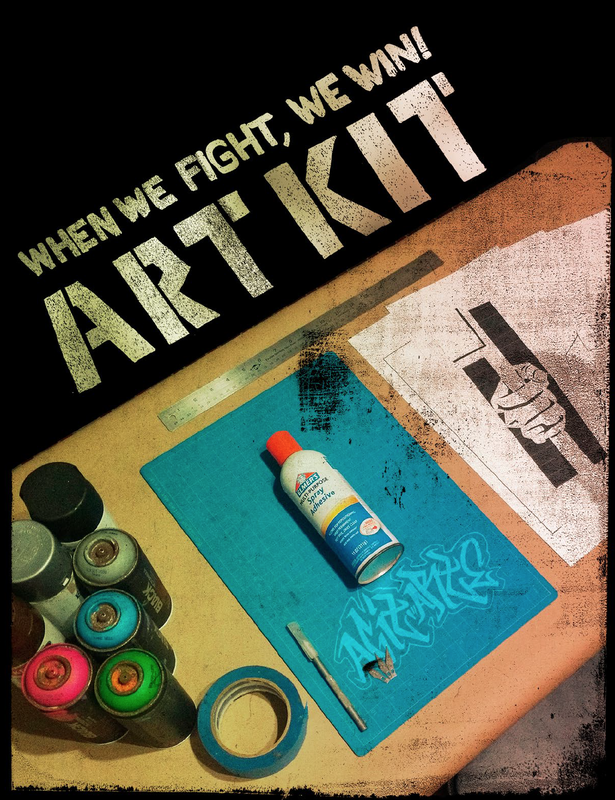 More than a kit it is a living document designed by and for US based community organizers and allies who work towards Prison Abolition. 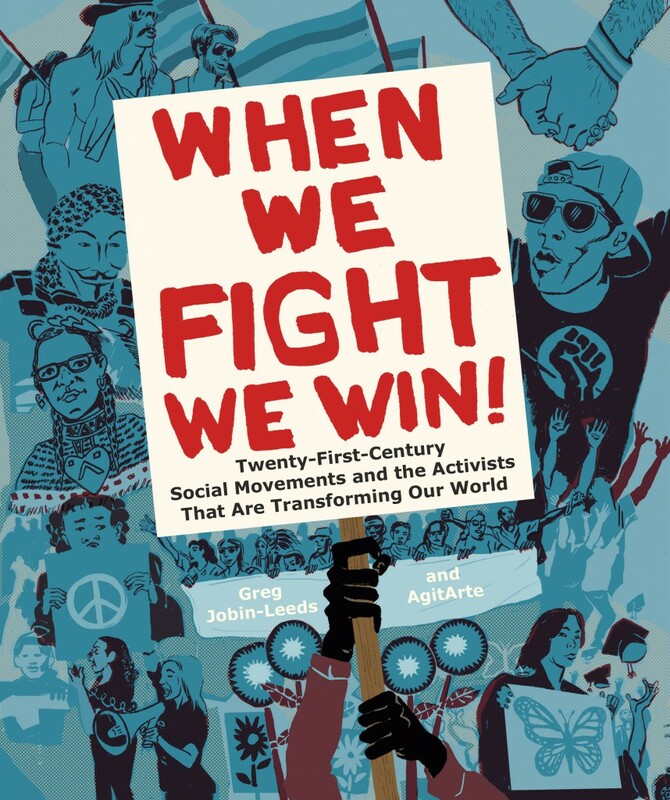 Tools and resources developed to build common connections across different communities including: grassroots organizing, leadership development, deep analysis, listening and data collection, inter-generational relationships, the linking of social movements and good long-term planning. A guide to walk activists through security measures written by Jess Bell and Dan Spalding. List of resources which includes curricula, suggested readings, handouts, interviews, and exercises to support anti-racist organizers who are working on the ground in Ferguson and nationally. A series of exercises and workshops developed by SOUL to support the development of a new generation of organizers rooted in a systemic change analysis. Schools in Transition offers practical guidance and field-tested tips to parents, educators, administrators, and community members on planning and supporting a transgender student through a transition at school. Annotated bibliography of resources for teaching students about social justice. Published in 2015 by Seattle educator and writer Jon Greenberg, this resource list is a curriculum to educate about race and racism, particularly to White Americans working for racial justice. The #blackpanthersyllabus, published in 2016, is a collective effort to better contextualize the history of the Black Panthers and offer nuanced perspectives on Black Power. Compiled by Dara Vance, a PhD candidate in History at the University of Kentucky and Keisha N. Blain, with the help of Shawn Leigh Alexander, Robyn Spencer, Shannon Hanks and other several scholars on Twitter. AAIHS blogger Ashley Farmer, a historian of Black Power, selected the final texts and organized the readings based on key themes and subfields. Reclaiming Our Future: The Black Radical Tradition in Our Time Recordings by Media Mobilizing Project. Video footage from Reclaiming Our Future: The Black Radical Tradition in Our Time 2016 Conference, organized by The Black Radical Organizing Collective, a group of grassroots activists, organizers, educators, scholars, faith leaders, and students from Philadelphia, New York, Princeton, Chicago, and other cities. A Vision for Black Lives. Policy Demands for Black Power, Freedom and Justice by The Movement for Black Lives. Syllabus from the seminar by Prof. Frank Leon Roberts of New York University which links the #blacklivesmatter movement to four broader phenomena: 1) the rise of the U.S. prison industrial complex and its relationship to the increasing militarization of inner city communities 2) the role of the media industry in influencing national conversations about race and racism and 3) the state of racial justice activism in the context of a neoliberal Obama Presidency and 4) the increasingly populist nature of decentralized protest movements in the contemporary United States. Compiled by the NYC Stands for Standing Rock committee, a group of Indigenous scholars and activists, and settler/ PoC supporters, this syllabus project contributes to the already substantial work of the Sacred Stones Camp, Red Warrior Camp, and the Oceti Sakowin Camp to resist the construction of the Dakota Access Pipeline, which threatens traditional and treaty-guaranteed Great Sioux Nation territory. The Pipeline violates the Fort Laramie Treaty of 1868 and 1851 signed by the United States, as well as recent United States environmental regulations. NYC Teach In Playlist of videos to show how you can start to teach the different sections of the syllabus, or how they can help ground discussions of Standing Rock and resistance to the dakota Access Pipeline. New report from Mijente on expanding sanctuary cities to protect all residents from criminalization and deportation. Summary Notes and video for the webinar, “Alt-Right” 101 created by Emergent FUND. MUTUAL AID TOOLBOX: A list which focus specifically on models and tools for starting mutual aid projects.